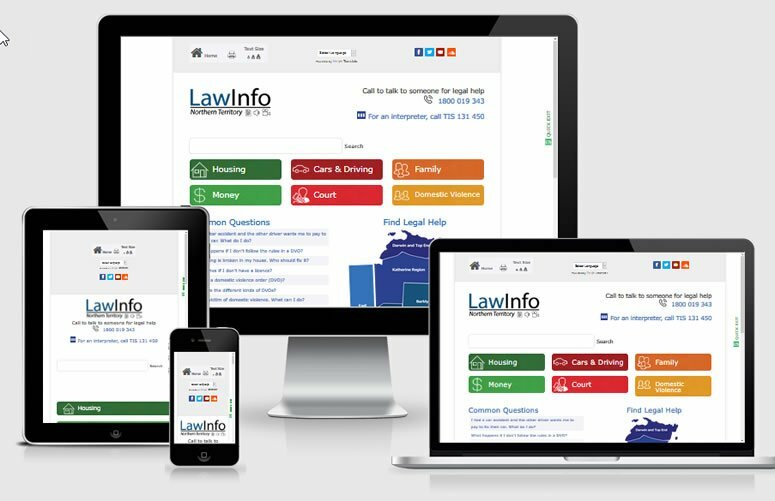 This website – Law info NT – aims to provide Northern Territorians with simple, plain language information and tools to help them uphold their legal rights and responsibilities. It also aims to connect people with service providers that can assist them. This is a WordPress site with DIVI theme. Using Toolset Maps, Toolset Types, Cred Forms, Toolset Views, Toolset Access, Relevanssi Search and helpful support from the wp-types crew. The clients requirements were for a site which is easily maintained by them, using clear forms and also outputting the data as posts for SEO optimisation. The future aim is to improve the search capabilities and add ReadSpeaker for accessibility. The Northern Territory has a large indigenous population with English being their 2nd, 3rd or 4th language. This site aims to assist people to find simple answers to legal questions.